Description: This elegant snow white ball pit is beautifully covered by ivory lace and finished by a boho trim. 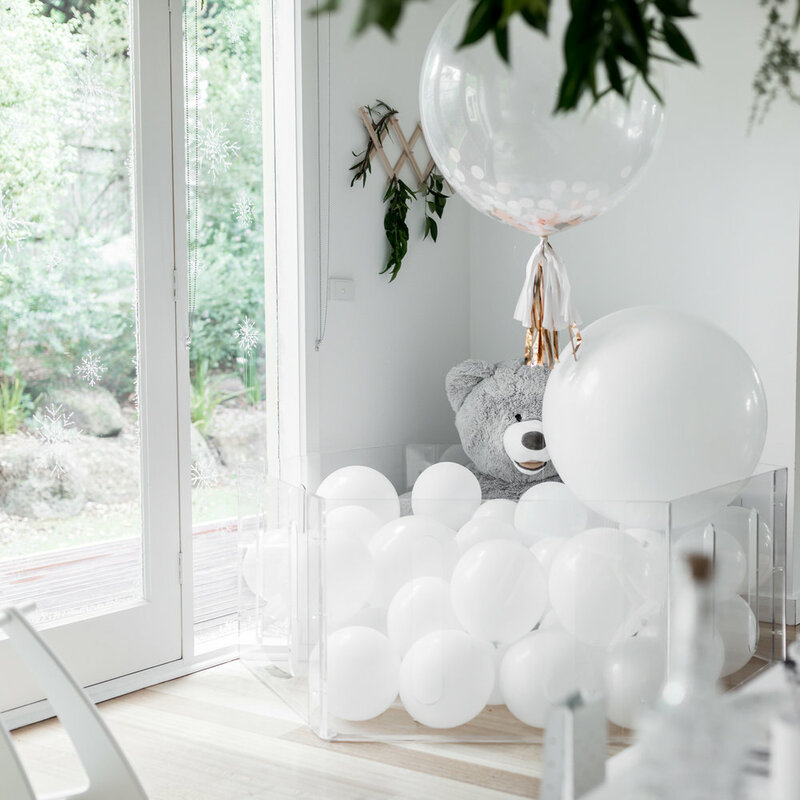 Perfect for first birthday parties, weddings, or indoor parties at home where space is limited. 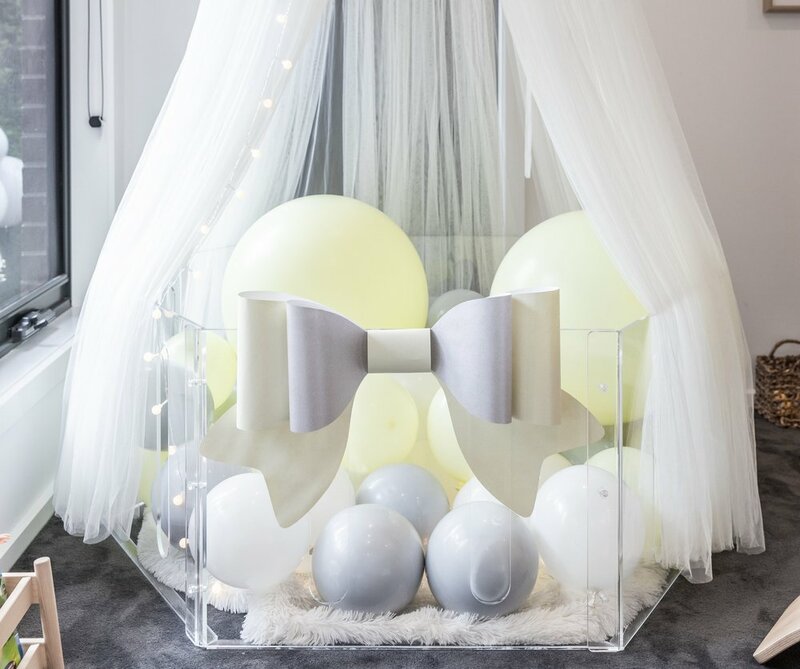 Description: This soft large grey ball pit is perfect for any larger scale parties. This ball pit is made out of soft, natural foam material and is both comfortable and safe for the kids to use. This ball pit can fit up to 4-5 kids depending on the age/size of each kid. Ball Colour: Comes with white, black and grey balls as default. Please request if you would like to swap the colours of the balls. Description: The stylish invisible play pen is made out of thick and hardy acrylic. It is a great way to create a safe enclosed area for babies and toddlers to play in. 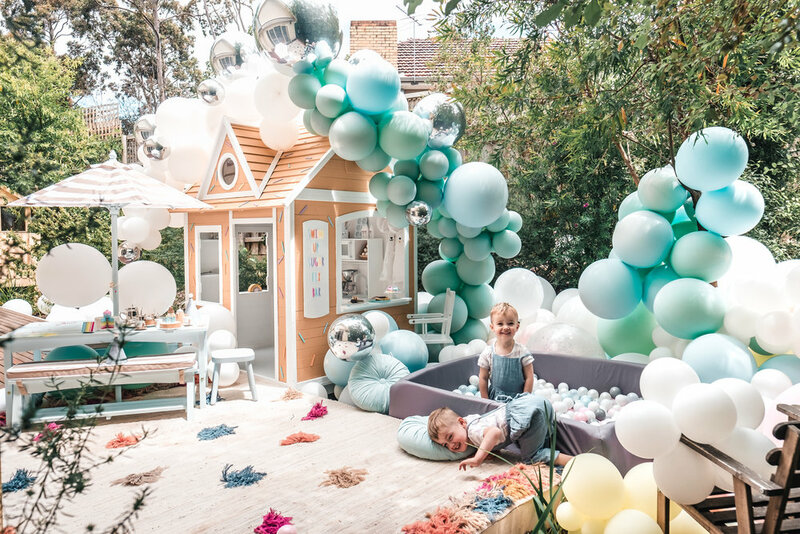 Another popular option for older kids between 1-3 years of age is to transform the invisible play pen to an invisible balloon ball pit. Fill it up with your own balloons and the kids will go crazy with it. Assembly:The playpen does not come assembled. It comes flat packed in 6 pieces to be assembled with 3 transparent screws on each side to be secured with an allen key. Recommended having 2 adults to assemble the play pen and it should take approximately 30 minutes to set up. We are also able to set up the play pen for you at additional cost. Note* This invisible play pen is able to be used both indoors and outdoors. Description: This large white ball pit is a larger version of our small white ball pit, but without the lace. This ball pit can fit up to 4-5 kids depending on the age/size of each kid. Ball Colour: Comes with white and gold balls as default. Please request if you would like to swap the colours of the balls. Description: This large outdoor ball pit is our newest addition to our ball pit range. This ball pit is made out of durable material that will be suitable for all your outdoor parties during the summer! This ball pit is also our largest ball pit out of our entire ball pit range- perfect for those larger parties! 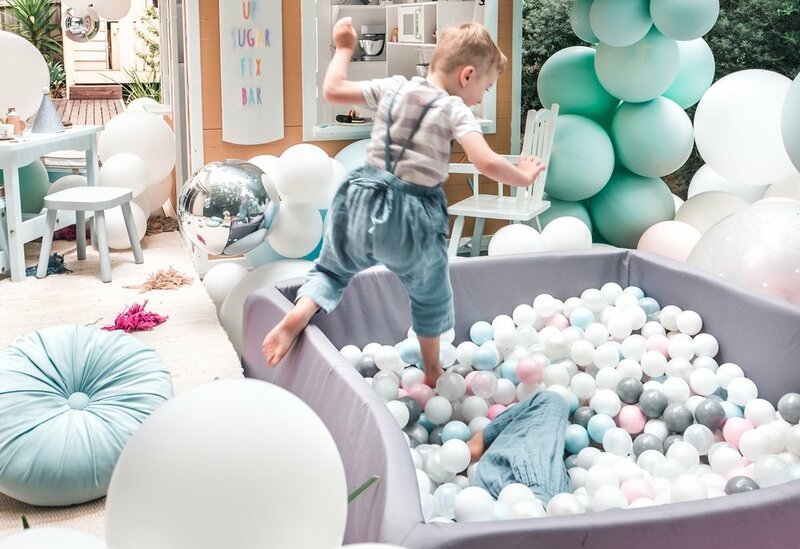 Note* This outdoor ball pit is available to be used both indoors and outdoors.